M4 x 0,7 threaded Fork Bleeders, simple and quick to install. 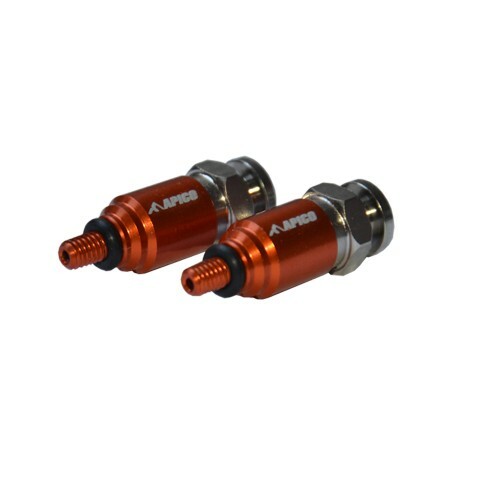 They allow excess air pressure that builds up inside the fork to be released easily, simply touch to spring loaded top. These do not fit every type of fork, there must be an M4 threaded hole in the fork top in order that they can be screwed in.